Over the centuries, many spelling reforms have tried to add new letters to the alphabet. Given that the Emperor Claudius couldn’t pull this off, you might think that no new letters have been added since ancient times. In fact, we’ve gained three new letters. “W” came about in the Early Middle Ages, as a doubling of the letter “U”. So why is it written “VV” instead of “UU”? At the time the letter “U” was written like a “V”, and functioned as a vowel and a consonant. Ditto the letter “I”. Over time, the consonant form of “I” evolved into “J” and the vowel form of “V” became “U”. This was a messy and inconsistent process, and even up till the time of the American Revolution, J wasn’t always considered its own letter. That’s why, in the alphabetically named streets of Washington, DC, there is no J Street. Since the letter “J”, no new letters have been added to the English Alphabet, though many people have tried to reform our awful orthography Most notable amongst these reformers was Benjamin Franklin. Franklin was uniquely qualified for this task. As a printer, he knew a thing or two about letters. As a scientist, he had an eye for systematic detail. And as the founder of a nation, he had a lot of influence. Amongst other reforms, Franklin tried to add the letter Eng (Ŋŋ), representing the /ŋ/ in the word “sing“. However, Franklin’s reforms never took off, leaving American English spelling as bad as it was since the days of William Shakespeare. 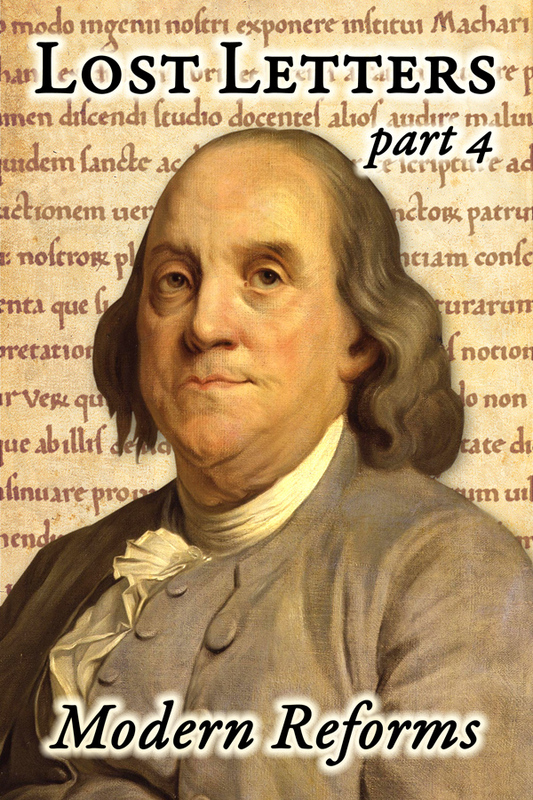 Franklin failed to reform English spelling, but he influenced later generations of linguists. Noah Webster, when compiling his famous dictionary, decided against adding new letters, but did change some spelling. He’s the one responsible from changing the British Imperial “centre” to the American “center”, amongst other things. Then there was Isaac Pitman, the Englishman responsible for modern shorthand. Pitman embraced the letter Eng and tried to add several others, including Esh (Ʃʃ), which represented the /ʃ/ in “she”, Ezh (Ʒʒ), which made the sound /ʒ/ in the word “vision”. Then there is Schwa (Əə). Originally invented by Johann Andreas Schmeller for the final “e” sound in German, this letter would represent the unstressed /ə/ sound in many English words, such as “about”. This is by far the most common sound in the English language, and if Schwa became a letter, it would be the most common letter in our alphabet. The letters Eng, Esh, Ezh and Schwa have never been added into English proper, but they have had a big influence nonetheless. When linguists wanted a system that could represent any vocal sound around, they turned to these letters. Today the International Phonetic Alphabet is common in linguistics and language research. You may even see them in the pronunciation guide of your dictionary. Perhaps in a few hundred years, they will become part and parcel of the alphabet. Written language is resistant to change, but over the millennia, it will evolve and adapt to new and exciting uses. Next week, we’ll look at attempts to scrap the standard alphabet altogether and replace it with something more logical.